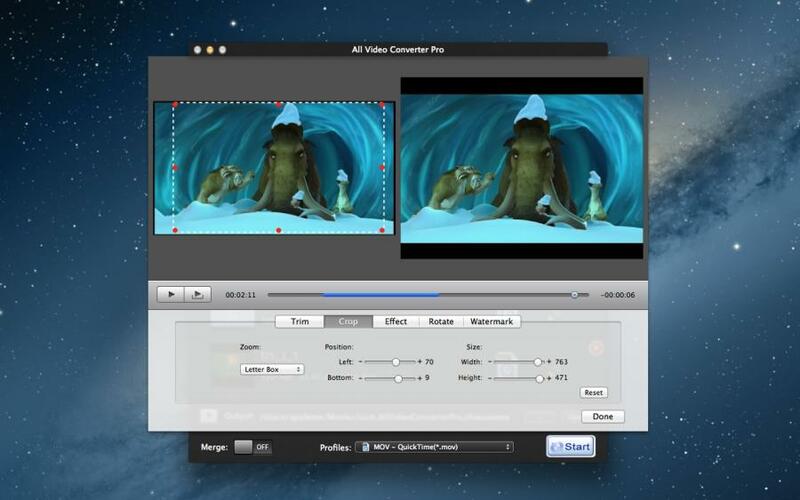 All Video Converter Pro lets you quickly and simply convert your video and audio files to all popular formats. lets you apply advanced custom settings (bit rate, sample rate, etc.) and you can even create and manage your own presets, you can merge multiple files into one. 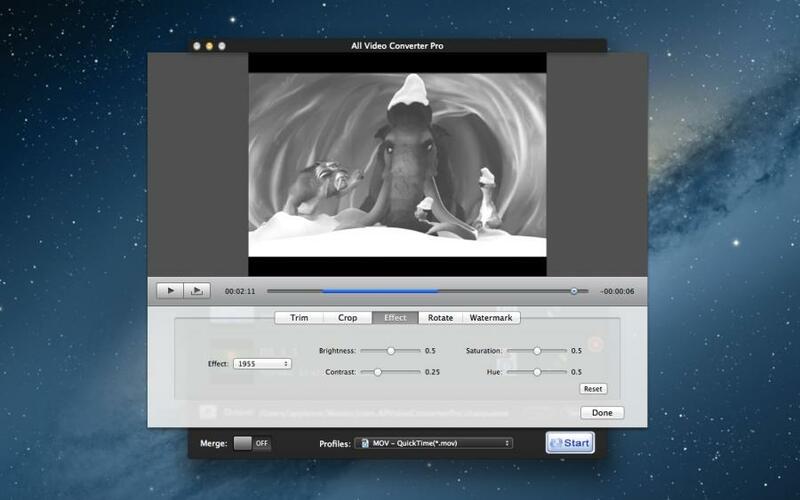 All Video Converter Pro can convert different video (Common Video, HD video, camera video, web video) and audio files for importing to sorts of portable device, applications and website, such as iPad, iPod, iPhone, Apple TV, PSP, iTunes(mp4, mov), iMovie(mp4, mov), YouTube , etc.It’s the easy way to make your Mac friendly with all audio and video formats. 1. 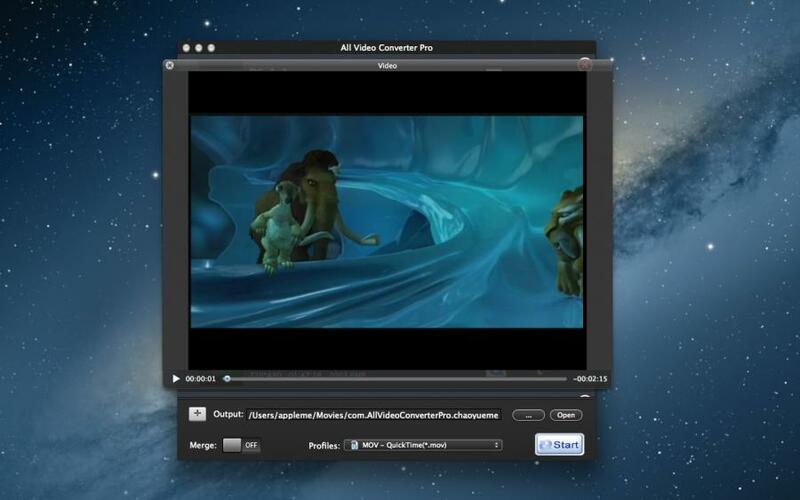 Import you movie or music. 2. 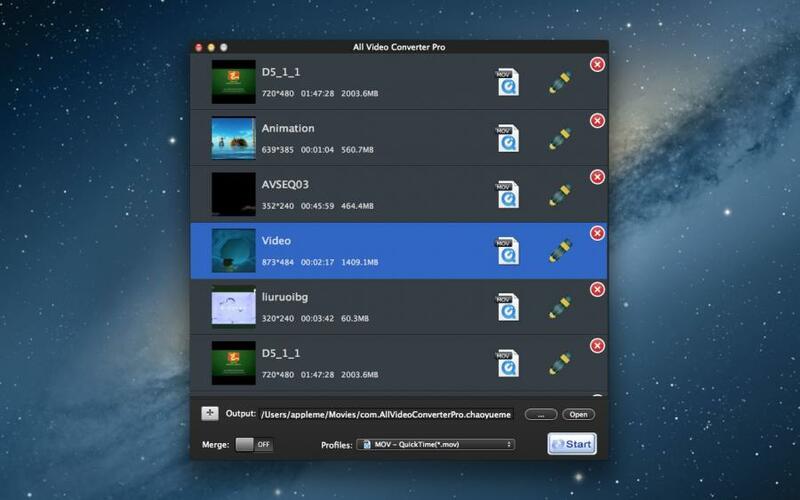 Helps you to crop video, clip any segments, merge multiple files into one. 5. Rotated 90 degrees and horizontal or vertical flip. 6. 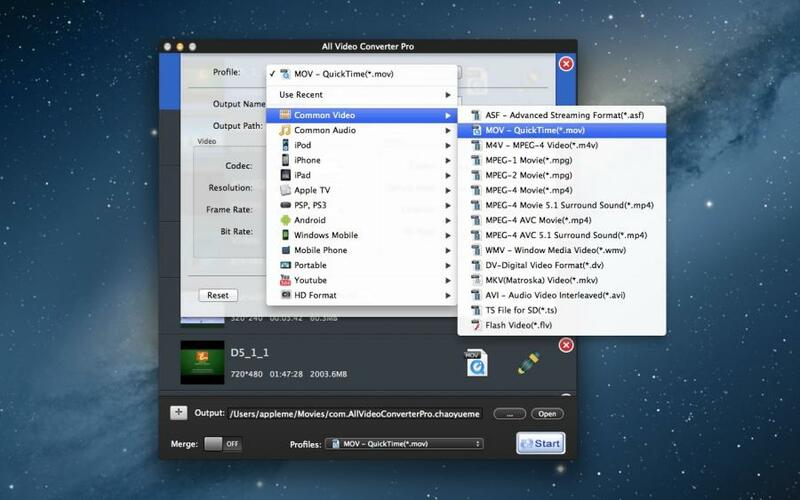 Set video and audio parameters: codec, quality, bit rate, video size, audio sample rate, etc.